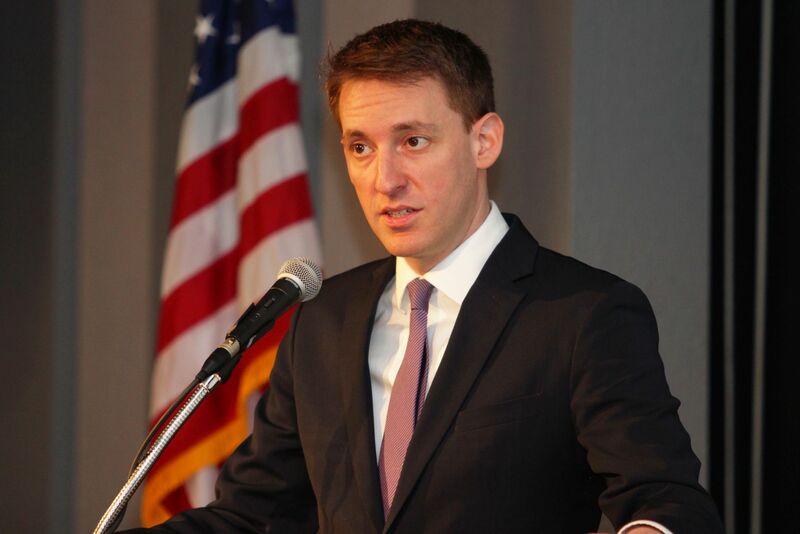 Secretary of State and U.S. Senate candidate Jason Kander (D) [March 2015 file photo]. The Constitution requires the President to nominate Judges of the Supreme Court, so any Senator saying otherwise clearly hasn’t read it. This political pandering is another reason why Missourians are so fed up with Washington. If Senator Blunt thinks the nominee eventually chosen by the President isn’t qualified, he can vote no. But to not have the political courage to even take a vote shows a complete inability to do his job. Shorter version: do your job.